Use 100% pure honey to make the liqueur. 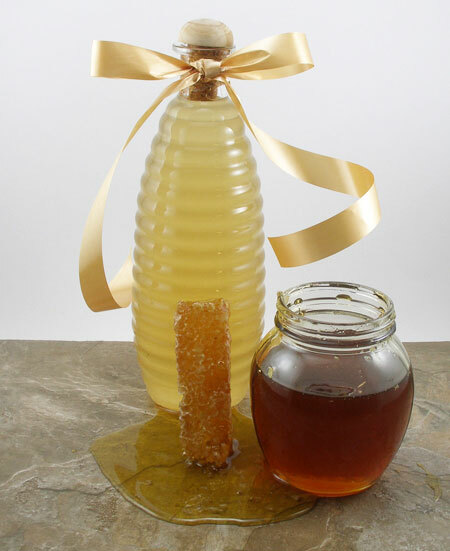 Note: To keep this recipe simple to make, don't use honey that contains honeycomb to avoid straining the wax from the honey liqueur. Wash and dry a glass jar. 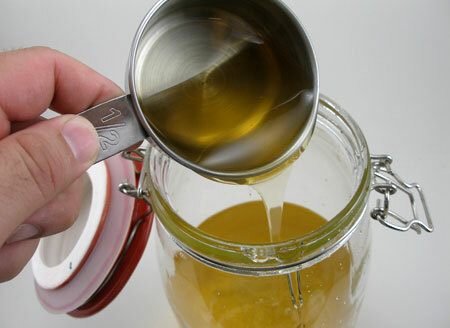 Pour 2 cups of vodka into the jar and add 1 1/2 cups of honey. Stir well until all the honey dissolves completely. 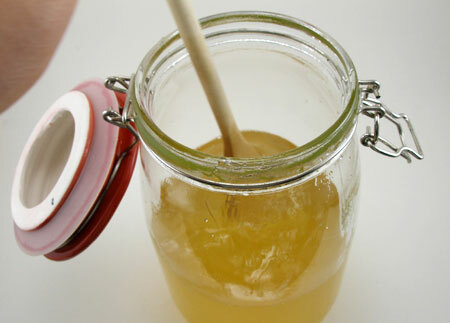 Store the jar with vodka and honey in a cool place away from sunlight for at least one month. Stir the contents with a metal or wood spoon at least once a week. 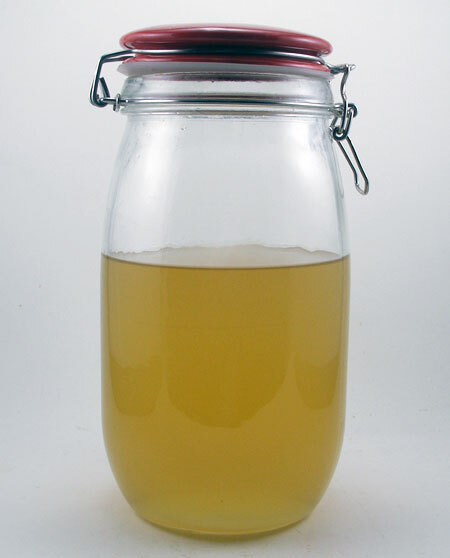 After a month of aging, add 1 cup of water and stir the honey liqueur. Store the jar for two more weeks. After the two weeks of aging, the honey liqueur is ready to be bottled. Pour honey liqueur into a bottle using a funnel.